Oakland grade-school students will start taking the state's new online standardized tests this week. District technology experts have been working hard over spring break to make sure every school's wireless network is ready to handle the testing. The district spent $3.2 million on Google Chromebooks and Internet upgrades in preparation. 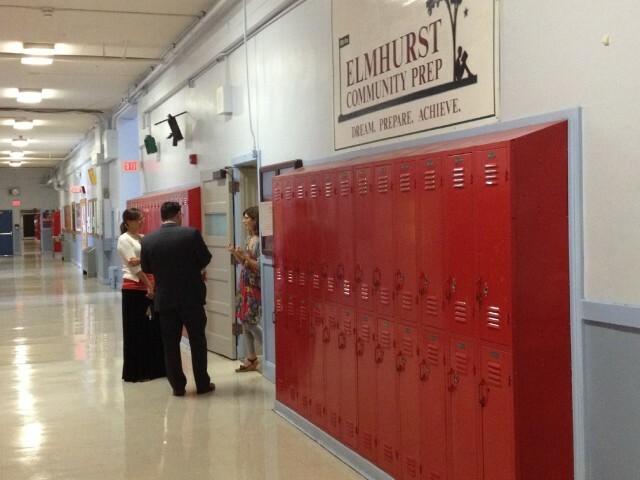 Elmhurst Principal Killian Betlach says his teachers have been using Chromebooks in the classroom for more than a year, but have been frustrated with slow Internet speeds, and they have frequently gotten booted off the network. That's made teachers reluctant to rely on technology when planning lessons. John Krull, Oakland Unified's IT director, says his team has quadrupled the wireless bandwidth in most schools, and Betlach says he's now confident that everyone can simultaneously use the network without impacting its reliability. He expects the devices will allow teachers to give a group of students a task online so that the teachers will be freed up to help struggling students in a smaller group. California provided the money for the tech upgrade in order to prepare schools for the new online standardized tests. When those are over, the schools will keep the new devices to support teaching. Oakland planned its technology purposes with these two uses in mind. "Really our plan is that these Chromebooks are for teaching and learning as well as for assessment," Krull said. "We want to have that link between teaching and learning and assessments so that we roll the Chromebook carts into the classroom, the students are used to using them for learning. And then when it's time to do testing, they just use them for testing." The carts will allow students to take the tests in their own classrooms, where they are comfortable. The district can easily configure the devices for testing so that students cannot navigate to other resources online while taking the test. Then, when testing is over, they switch off the testing mode and the device once again can be used to access any part of the Internet allowed under the school's filter.